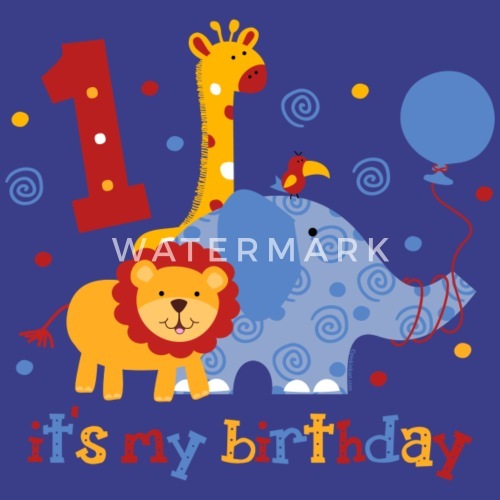 Adorable safari 1st birthday design with a cute elephant, giraffe, lion and toucan and a big red number ONE. Multi colored text says IT'S MY BIRTHDAY. 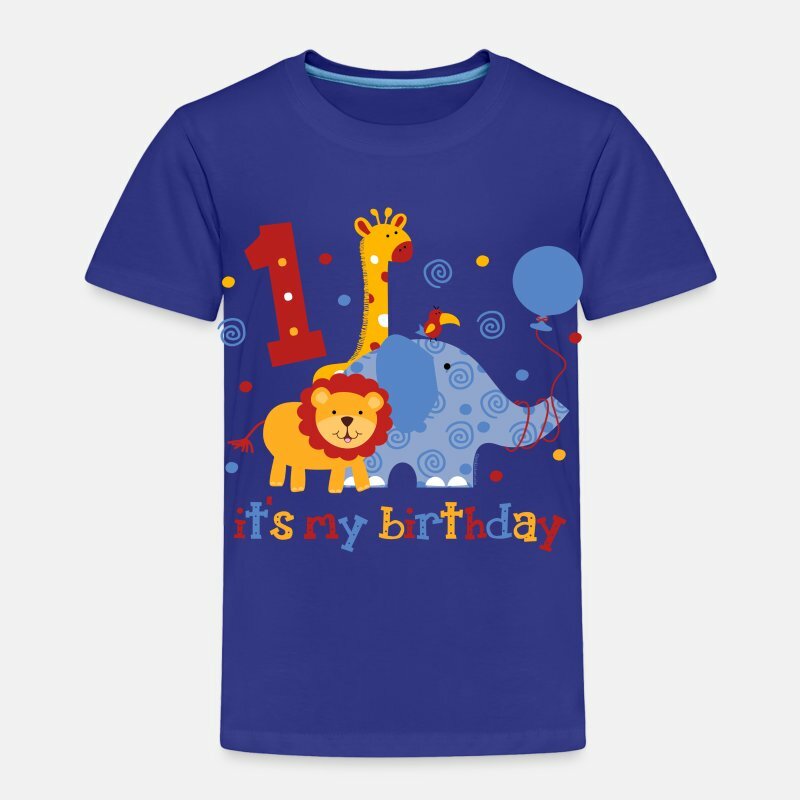 PinkInkArt original!